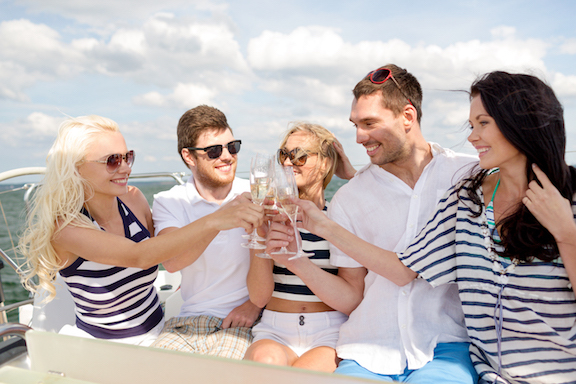 Katlynn Marine | Sodus Bay, NY | Marine Storage | Sodus Point, NY | Marine Service | Slip Rentals | Rochester, NY – Let’s Celebrate Summer Together! Located on Great Sodus Bay, Katlynn Harbor features most well-protected deep water marina on the south shore of Lake Ontario with a full range of marine services. Bring a dish to pass and we’ll provide the beer, turkey and ribs! Incredible views, incredible neighbors, incredible service and staff. Katlynn Marina is my home away from home and it is truly special! If you don't believe me come visit for yourself. This year they are even providing free loaner bicycles so we can pop into the point whenever we want. They really care about their customers. We had visited Katlynn a couple of times from Irondequoit Bay and found the resident boaters and staff very friendly. That positive impression was key in our decision to move our boat out there. The staff is friendly and the marina is very clean. The bathrooms and clubhouse are awesome! I enjoy the friendly family atmosphere, the cleanliness of the facilities and the many wonderful friends that we have made. The facilities, bathrooms, showers, club house, docks are all top shelf. Also, the attitude of the staff and owners is customer focused. Katlynn is one of the nicest marinas that we have stayed at. It has great bathrooms and an awesome clubhouse. We have used the picnic pavilion and the new deck with the great lounge chairs. The best thing about Katlynn is that the boaters spend time there and we have formed a tight boating community. Debbie and the staff are very accommodating. I've been repairing lawnmowers, motorcycles, cars, boats, anything with a motor since I was 11 years old. I tend to have trust issues allowing others to work on my stuff, especially my boat. It may be considered old by some, but it is still beautiful in my eyes. At Katlynn I found a service crew who really care about their craft and love fixing anything, just like me. If I Trust them, you can too! Keep up the good work, friendly atmosphere and trustworthy staff. We appreciate all that you do for us. Katlynn is a hidden secret, as is the whole Sodus Bay region.